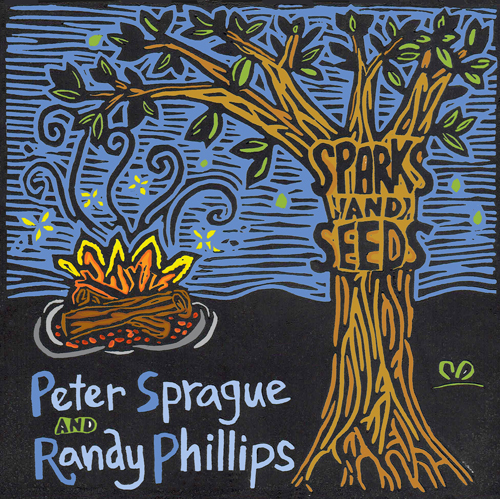 Peter Sprague | Why Aye Man! 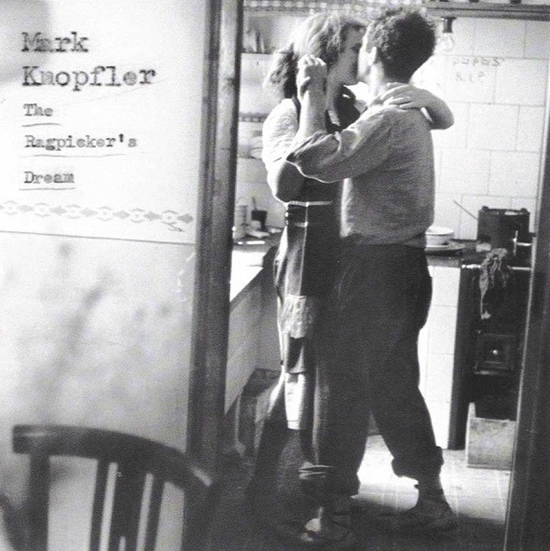 Good People, coming to you with Mark Knopfler’s “Ragpicker’s Dream” filling the air. It ain’t bebop but it’s beautiful! Americana, gritty Strat guitar speaking up, singing weird things at the chorus “why aye man”. What’s that even mean? 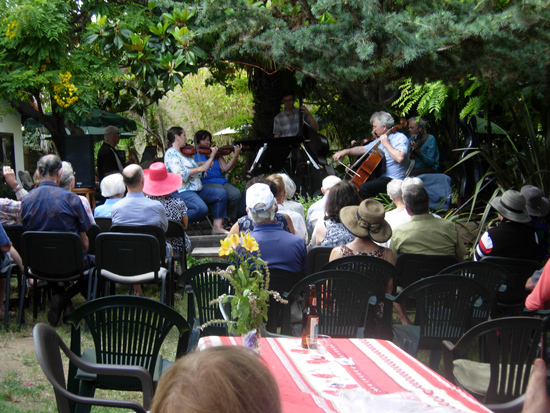 We had a magical string consort gig last Sunday in a garden of eden setting at a home in Encinitas. Wish you could of all made it out but it was an inside deal. 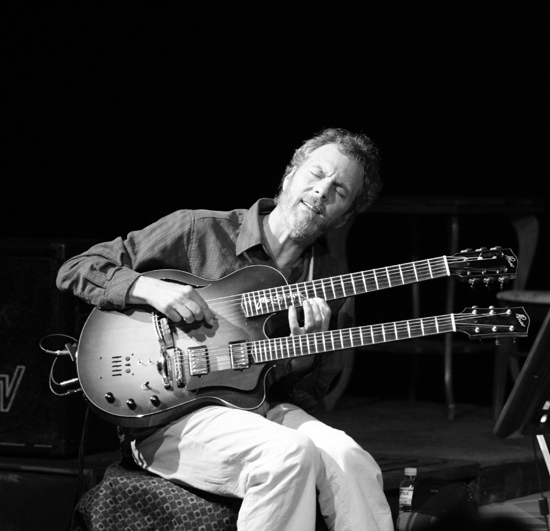 The 32 stringed (violin -4, violin II – 4, viola -4, cello – 4, PS double neck guitar – 12, Mack bass -4) band was back together again riding the sonic frontier of jazz meets classical. Can’t wait to do it again and if any of you out there think it’s a cool idea to have a show at your house with this group, speak up and we’ll see if it can happen. That’s us, buried in the trees playing back beat Bach! 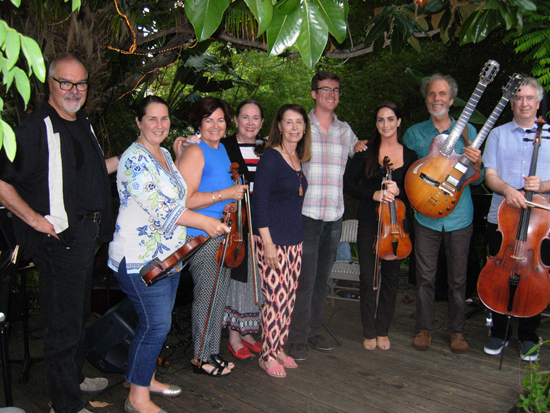 Band and host photo at the end of the show with (left to right) Duncan, Bridget Dolkas, Jeanne Skrocki, Therese (food guru), Lauren (gracious host), Mack, Corinne Sobolewski, PS, and Rudy Stein. We’ll be playing the songs from the CD (plus a few upbeaters) and they’re all original and gentle gems penned by lyricist Randy Phillips and me. I can’t wait and please come on out if you can. More info HERE. 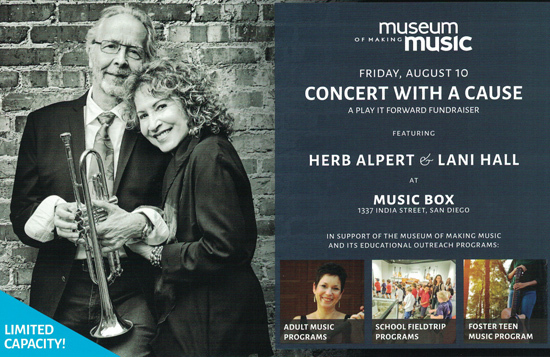 The fine folks that run the Museum of Making Music (MOMM) recently let me know about a special concert coming up featuring Herb Alpert and Lani Hall. You’d know Herb from his insanely popular Tijuana Brass band back in the day. I knew about Lani because she was one of the main vocalists in Sergio Mendes’ Brasil 66 group. “Mais Que Nada” — incredible and that was Lani singing! Herb Alpert was one of the founders of A&M Records and in their day they recorded the likes of Joe Cocker, Sting, Burt Bacharach, Liza Minnelli, The Carpenters, Cat Stevens, Carole King, and Joan Baez. 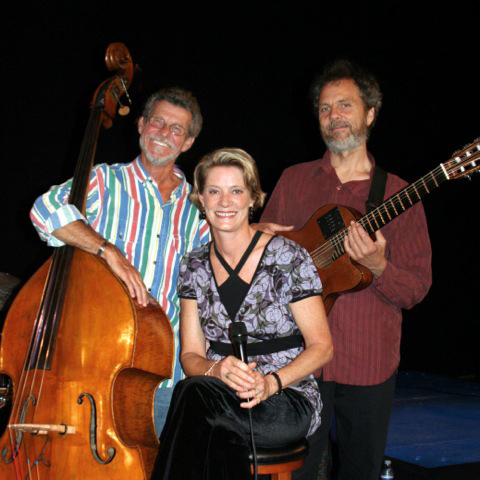 Herb and Lani’s current act has some great jazz musos in their ranks including SD pianist Bill Cantos and LA drummer Mike Shapiro. Both of these fellows used to be in the loop with our groups in the earlier times and both are fantastic players. I wish I could go to the show but I’m already booked that night. Hey check this! The first person to email me back with an emoji of an avocado 🥑 gets 2 FREE tickets to the concert! (I’ll email you back if you’re the winner and I’ll pass your info onto the MOMM folks). 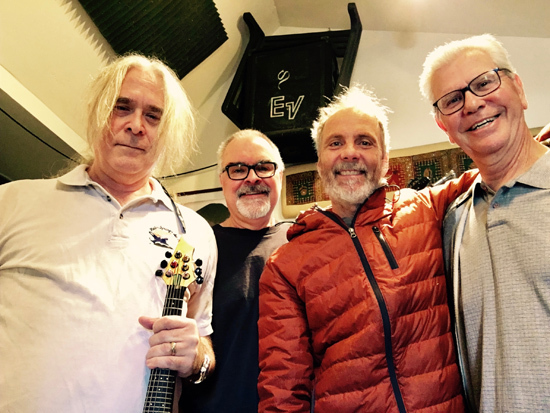 Now to the live PS music out in the real world for this week our story begins at Flower Hill Promenade in Del Mar on Friday afternoon. It’s just me and the six strings striving for tone and aligning to the rhythm of the earth’s grid. Fun for all, music in the mall! Zen out, tune up, defrag! On Friday night the wonderful Lisa Hightower joins Gunnar on bass and me to play music at Ki’s Restaurant in Cardiff overlooking the wild blue. It’s beautiful every where you look and the food and music augment the reality! Join in! 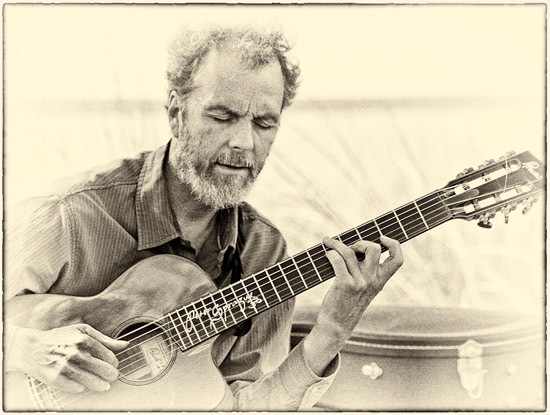 On Saturday we’re off to the Coronado Library to play with Chris Vitas leading the band on violin. Bob Magnusson will bass it and getting all polyrhythmic on us will be Duncan on drums. Fun down south! 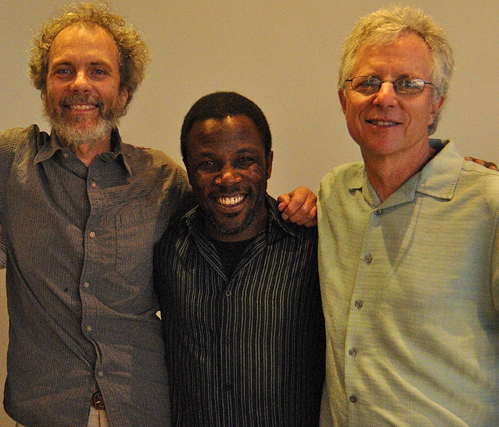 The band with Chris Vitas, left, Duncan, Peter, and Bob. On Sunday afternoon we’re driving up to Laguna to play at the Pageant of the Masters event. We’ve got a great band in the mix including saxophonist John Reckivics, Mack on bass, Duncan on drums, and I’m on guitar. Get artful for the event and join us in Laguna! Rounding the bend into next week, it’s Monday evening at the North County Rep Theatre in Solana Beach for a encore performance of me, Leonard, and Tripp! We played a concert there last summer and it was a big hit. The venue is pure magic with great sightlines, sound, and spirit and this further inspired our music. Looking to get into it again this year and if you can break away from the grip of the home we think you’ll be happy you did. Look below for the deets. OK friends, by the time I made it here in my gig email writing, the Knopfler tunes finished up with a collaboration song with Van Morrison. Beautiful! So as I finish up I’ve moved onto a marathon Morrison listening session with G L O R I A leading the way. Fantastic Van!